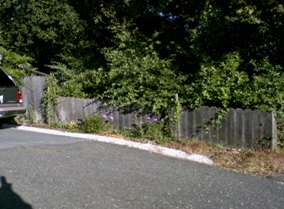 The homeowner wanted to freshen up the look of the fence and increase the privacy that the fence provides. After checking the fence boards to be sure they were secure, vertical supports were added followed by the redwood lattice. 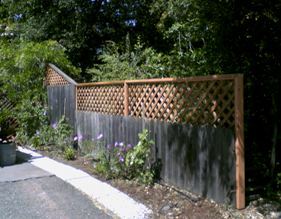 Do you have any other pictures of this fence and how the lattice was added. I like the look of this.